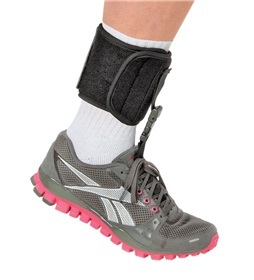 The SaeboStep consists of a lightweight, uniquely designed foot drop brace that provides convenience and comfort while offering optimum foot clearance and support during walking. 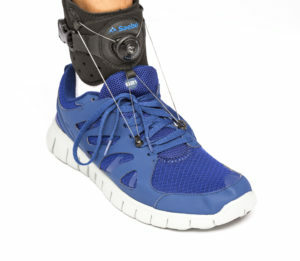 The SaeboStep was designed to replace uncomfortable, stiff, or bulky splints that go inside the shoe as well as poorly manufactured braces designed for outside of the shoe that lack support and durability. Foot Drop and Stroke. What are the Treatment Options? The Dorsi-Strap is comfortable and barely noticeable while in use. Promotes muscle development and helps improve balance. Wear your regular shoes! No special shoes required. Works with most shoes without lace holes, and sandals. Nothing placed in the shoe or under the foot. Fits adults and children. Durable and washable. 100% water-safe. The Dorsi-Strap Pro is built for more active out-door users. The strapping system is comfortable and barely noticeable while in use. Promotes muscle development and helps improve balance. Wear your regular shoes! No special shoes required. Works with most shoes without lace holes, and sandals. Nothing placed in the shoe or under the foot. Fits adults and children. Durable and washable. 100% water-safe. 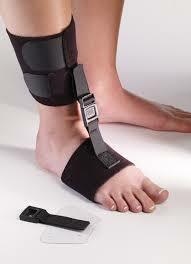 The Freedom Adjustable Foot Drop Brace offers dynamic support for foot drop or similar foot complaints. Applies in seconds and comfortable to wear for long periods of time. 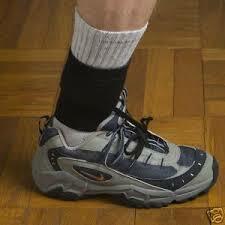 Can move easily from shoe to shoe and easy to adjust. Soft AFO features an ankle wrap with two interchangeable forefoot attachments, making it ideal for use with a tie shoe, slip-on shoe or barefoot. 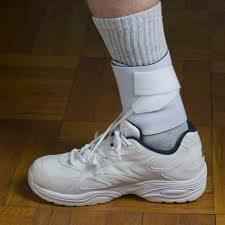 Indicated for treatment of foot-drop, dorsiflexion injury, stroke patients or leg muscle disorders. Manufactured from breathable foam laminate with nylon straps and center release buckle.